This cable connects all the hardware destinations on a Local Area Network (LAN). It is ideal for use with 10 Base-T, 100 Base-T and 1000 Base-T networks. This 100 feet long FastCat (Tm) 5e patch cable has two RJ-45 male to male connectors and features 50-micron gold plated connectors which ensure a clean and clear transmission. Color: White. Features: Gold plated connectors. Length: 100 feet / 30.5 meter. Compliance Standards: EIA/TIA-568B Category 5e. Type: Patch cable. 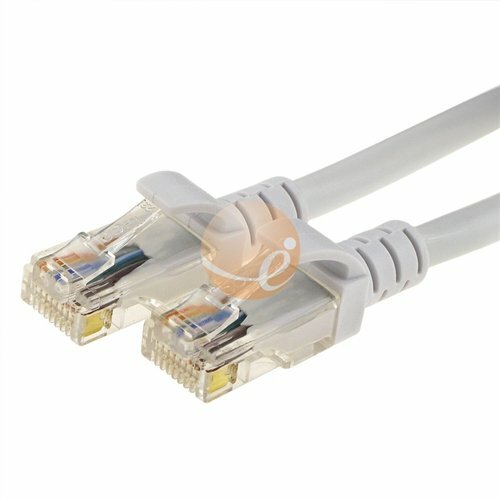 Connector(s): 1 x RJ-45 - male to 1 x RJ-45 - male.